What is the best way to select a poinsettia? You should choose plants with that have completely colored and expanded bracts. 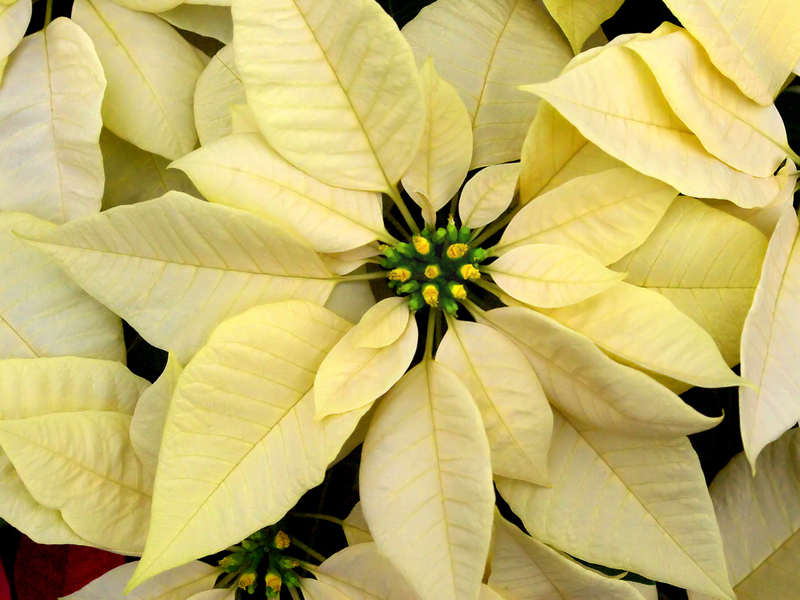 The bracts are the colorful part of the poinsettia. The flower part is the small yellow parts in the center. Pearland florist recommends that you should look for plants with dense foliage close to the soil line. Look for plants that are about two to three times larger than size of the pot. Choose plants that have strong stems and are not wilting. Do not buy poinsettias that are displayed in paper, plastic or mesh sleeves. These wrapping items can reduce air flow and cause plants to wilt faster. Where can I send poinsettias to as a gift? You can them send to almost anywhere in the U.S.A. and Canada. Usually these poinsettias cost about $30 to $35 to send. You can buy more expensive ones for about $50 to $100. You can purchase them from a local florist or buy them online. If you are willing to spend a few extra dollars you can get a higher quality plant and arrangement. How do you care for poinsettias? You should try to place them in indirect sunlight for at least 6 hours per day. The room temperatures should range between 68 and 72 degrees F. Try not to place them near a draft. Make sure to water your plant thoroughly when the soil is dry. Do not over water. Are poinsettias dangerous to children and animals? Research has shown that they are not as poisonous as once was believed. That does not mean you should eat them, but they will not make a human sick. Animals have a hard time digesting the fibrous part of the plant, so it is not recommended that you allow them to eat it. What should I do with poinsettias after the holidays? With a little extra care, your poinsettia can live much longer than the holiday season. After they have bloomed be sure to fertilize your plant with an all purpose fertilizer. In April, cut the plant back to about 4 to 6 buds. Make certain that you keep the plant near a sunny window. Water and fertilize regularly near the end of May you should see new growth. Your poinsettia will begin produce flowers as the nights become longer in the fall. Around the beginning of October keep your plant in complete darkness for 14 continuous hours every night. During the day, allow your plant to receive 6-8 hours of sunlight. Continue this regimen for about eight to ten weeks. By the holiday season your poinsettia should develop a colorful display of leaves and flowers. used to grow these when I was in college…. loved the fact that I could explain that the bract was not in fact the flower. Great blog post and great advice re caring for after the festivities. Wonder what the sales percentages ratios are like for red to every other colour ?